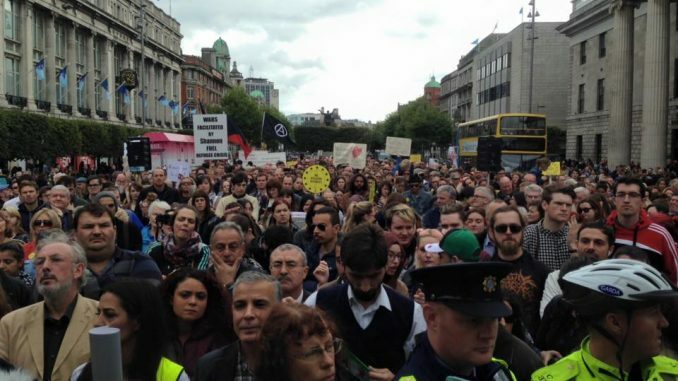 The image of drowned three-year-old Aylan Kurdi, by now an indelible symbol of the refugee crisis in Europe, was once again invoked as thousands turned out to a rally in Dublin demanding a greater humanitarian response. His name filled the lips of protesters and their placards. While Ireland has committed €48 million to take in 4,000 people fleeing the conflict, it is the boy washed up on the Turkish beach that the general public first talk about when considering the response.